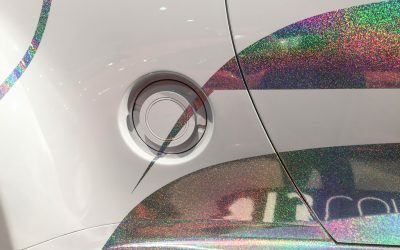 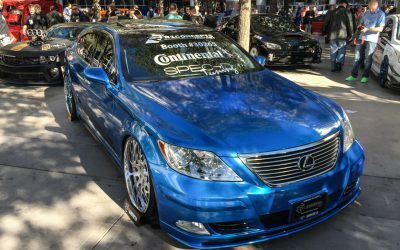 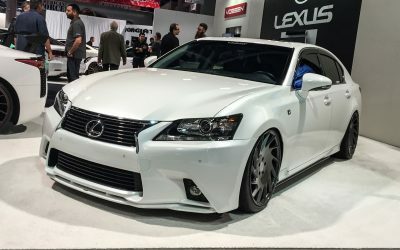 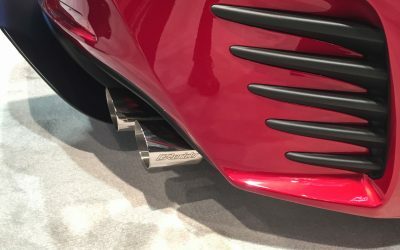 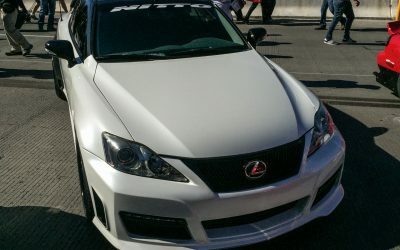 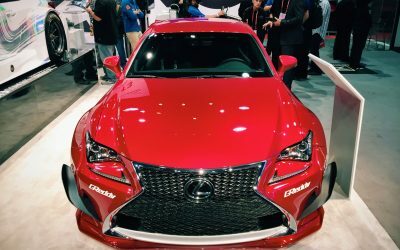 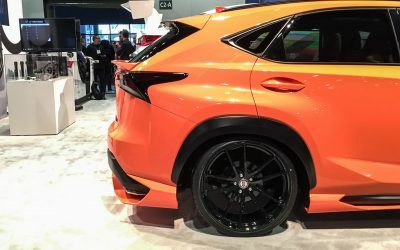 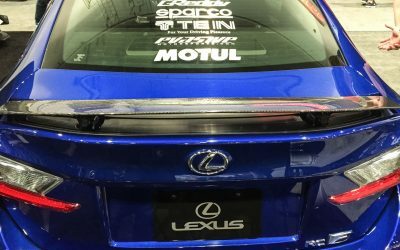 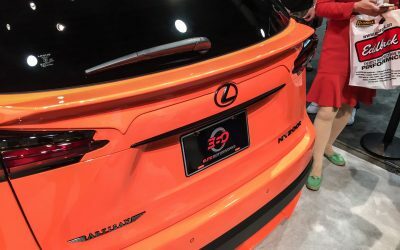 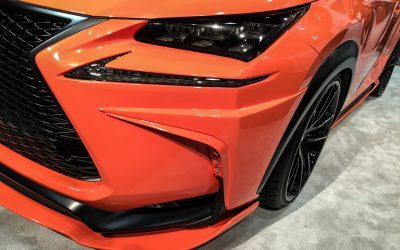 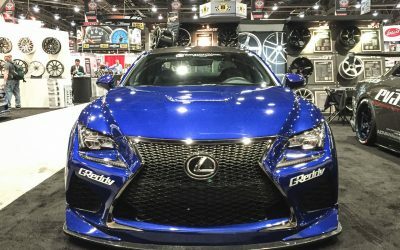 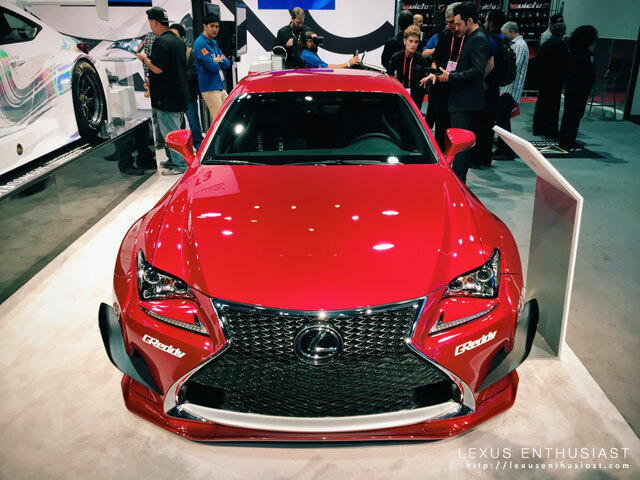 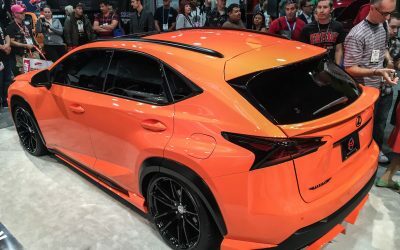 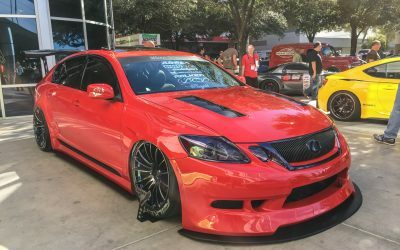 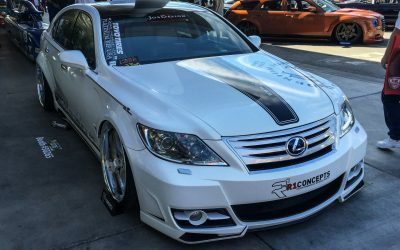 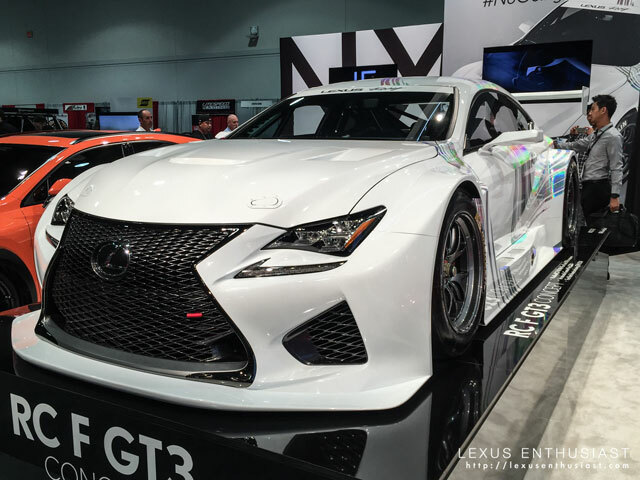 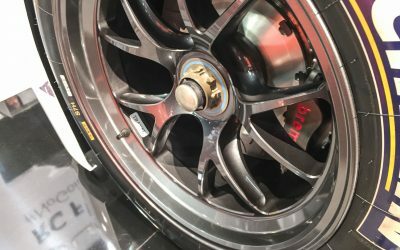 Now a week after SEMA ended, I’m finally able to decompress and share some thoughts & photos about the Lexus vehicles on display at the show. 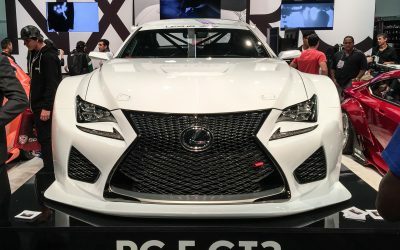 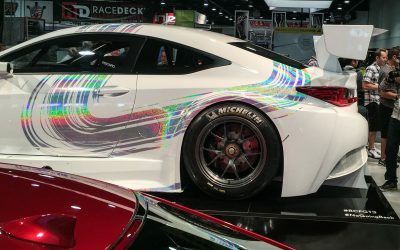 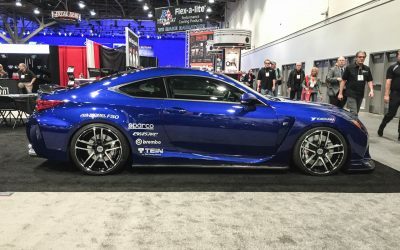 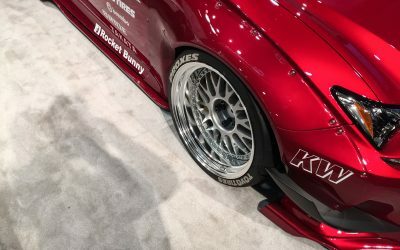 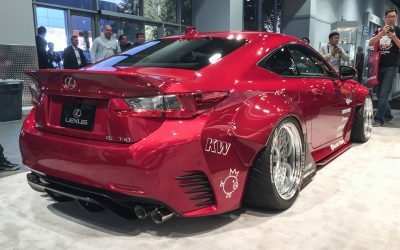 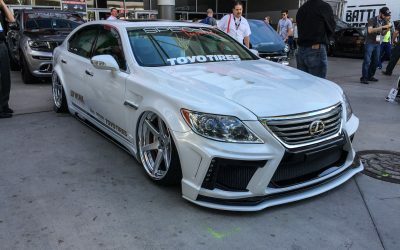 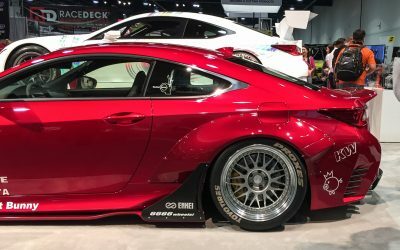 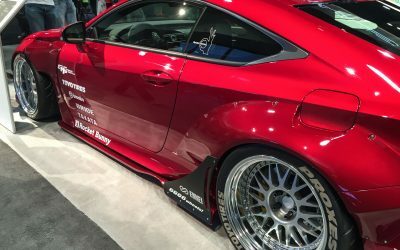 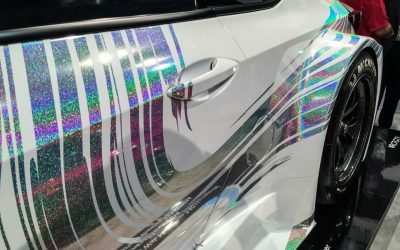 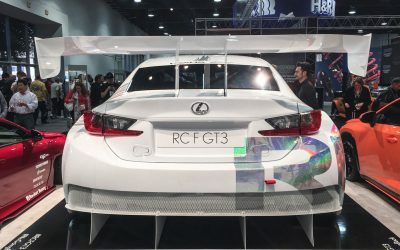 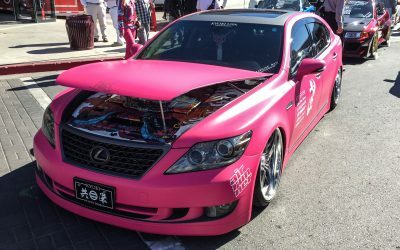 The Instabuilt RC F had the most hype going into SEMA, and the final build did not disappoint. 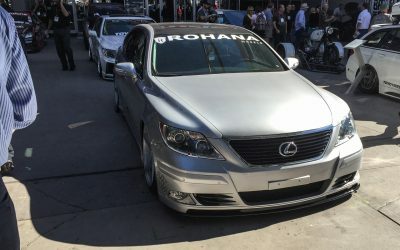 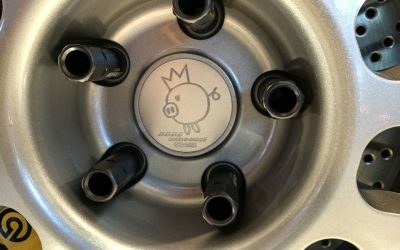 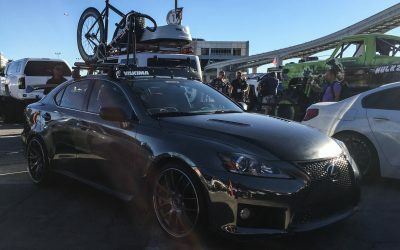 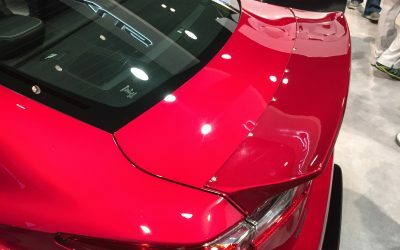 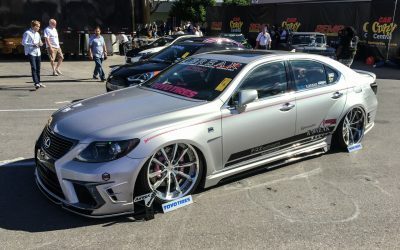 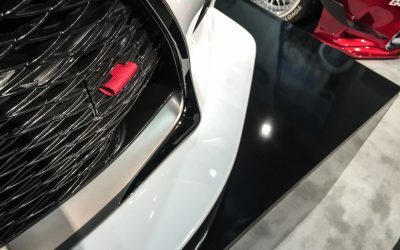 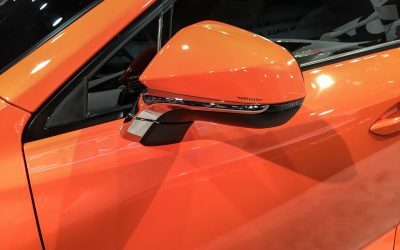 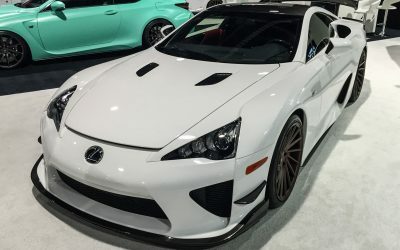 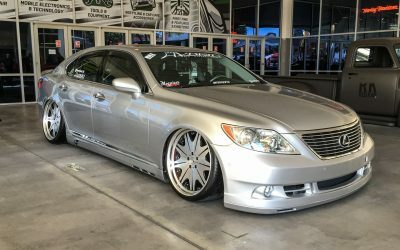 Clark Ishihara of VIP Auto Salon managed to pull together all of the pieces from the Instagram voting and create something that didn’t look built by committee. 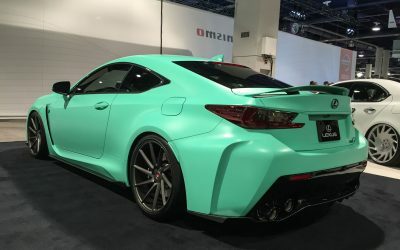 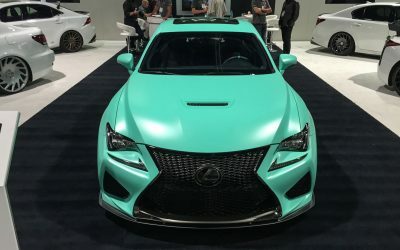 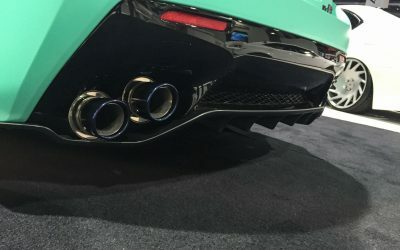 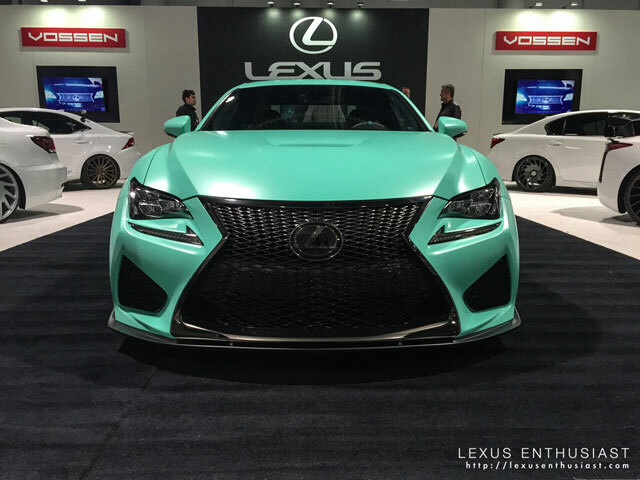 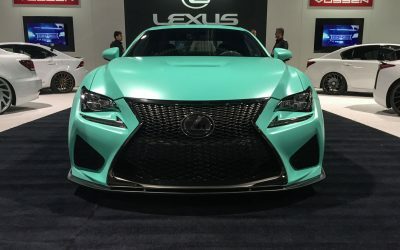 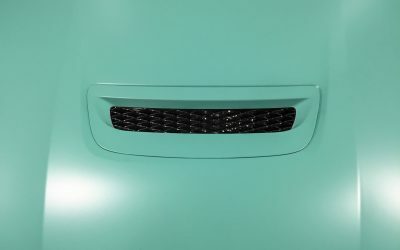 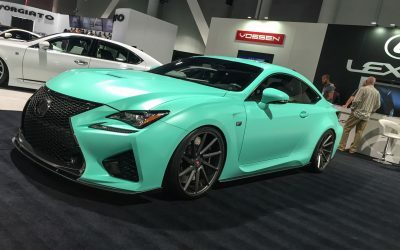 The Seafoam Green exterior was the biggest surprise — did not expect to like the color, but it really suited the RC F.
The Ultrasonic Blue RC F by Beyond Marketing was a stunner — the custom carbon fiber additions were subtle but attractive, and didn’t overwhelm the car’s stock look. 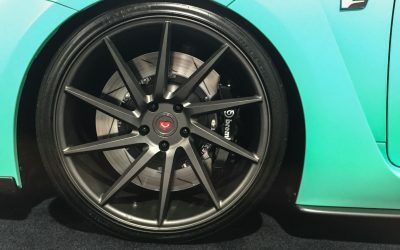 Not a huge fan of the wheels, but the upgraded Brembo front brakes were awesome. 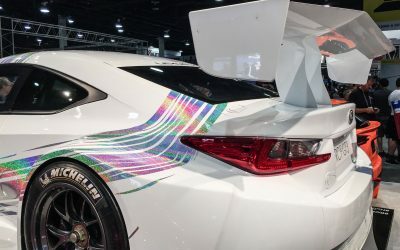 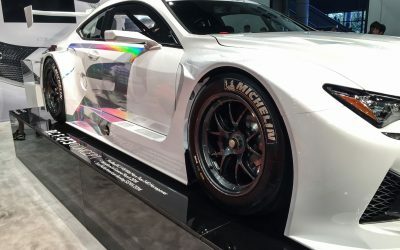 The Rocket Bunny RC 350 F SPORT was a curious build — viewed on its own, the riveted body kit is so unusual, so unlike anything you would normally see on the road, it was hard not to be drawn into the look. 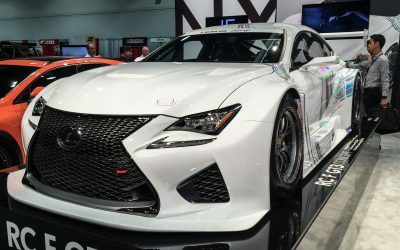 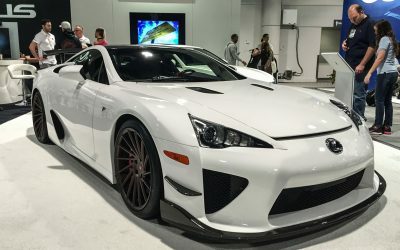 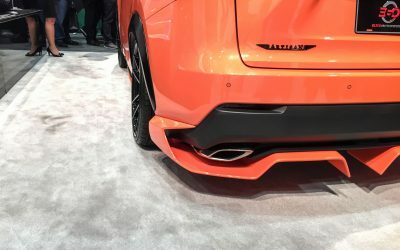 And yet walking around SEMA, you see a million other vehicles with a near identical kit — Ferraris, too many FRSs, GT-Rs — Rocket Bunny is everywhere. 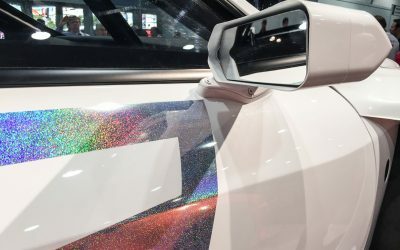 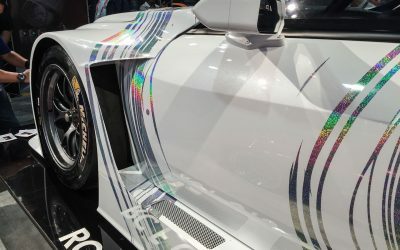 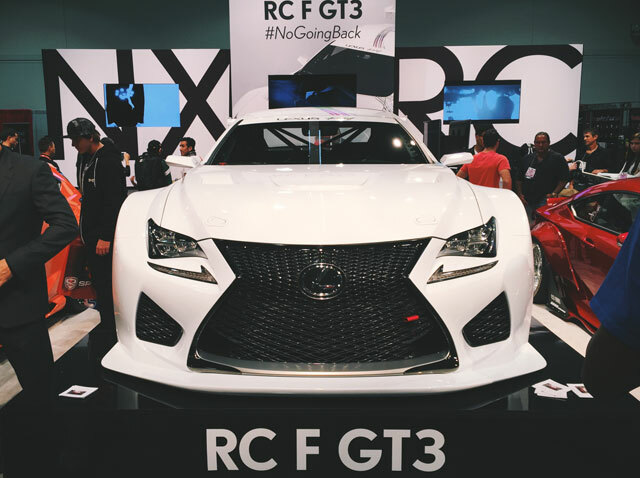 It was amazing to see the RC F GT3 race car in person, even if it was all white & sparkles. 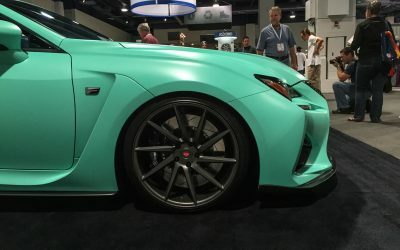 This machine in flat black would be absolutely terrifying. 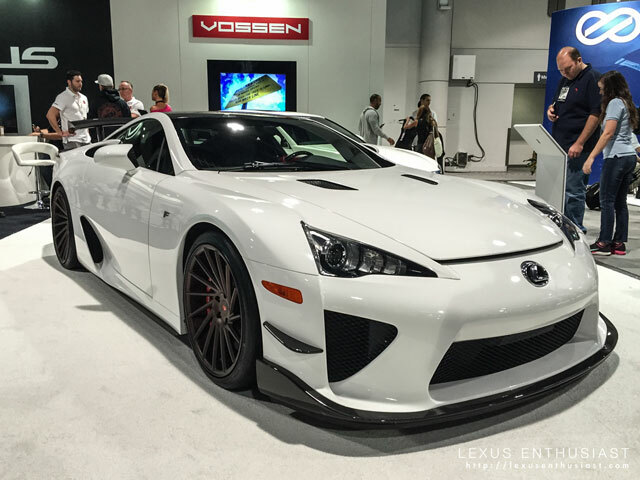 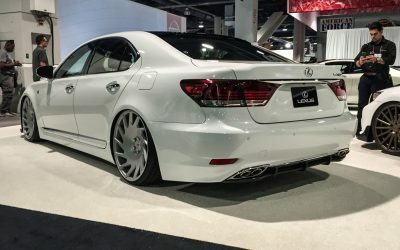 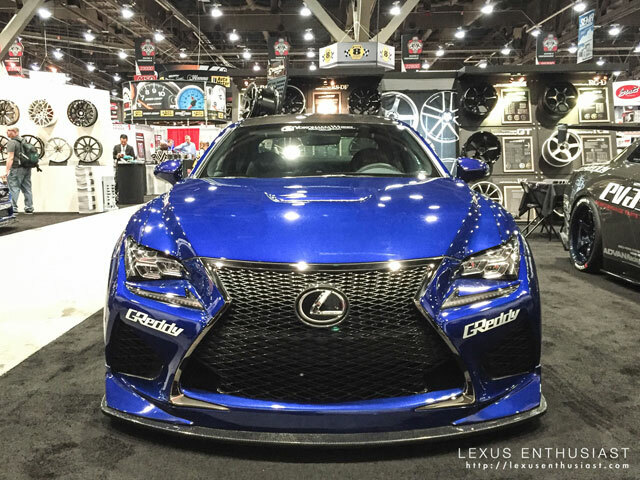 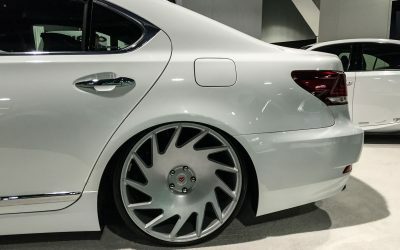 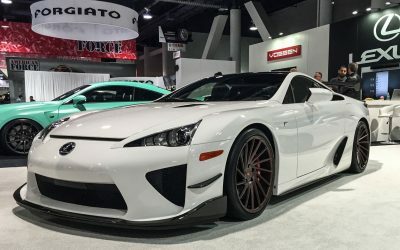 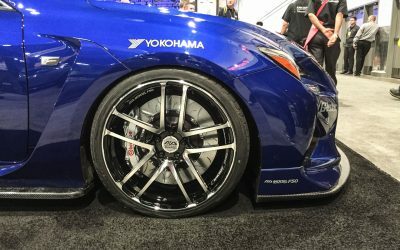 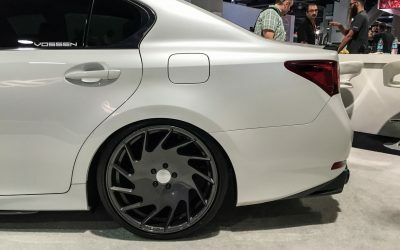 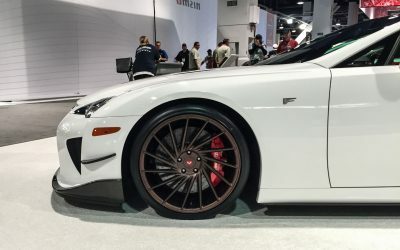 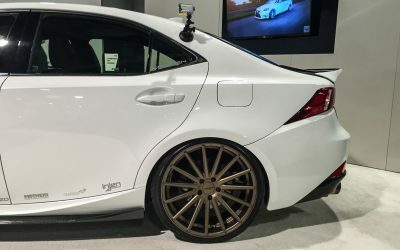 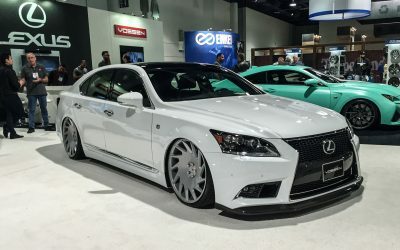 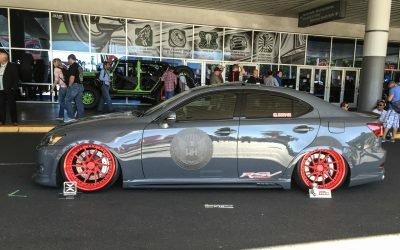 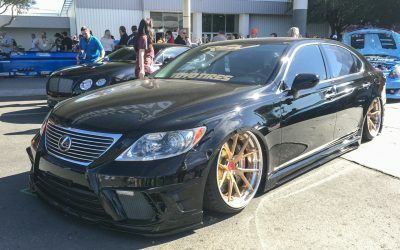 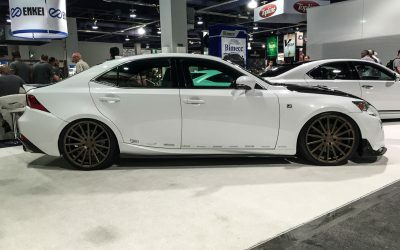 Lexus partnered with Vossen Wheels for a booth this year. 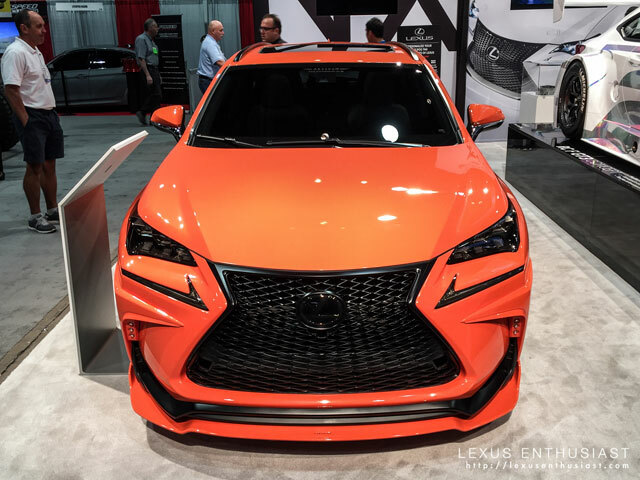 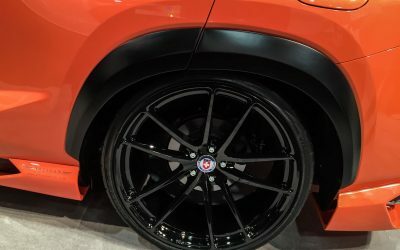 Wasn’t sure what to expect with the orange NX F SPORT from 360 Elite Motorworks, but I came away impressed. 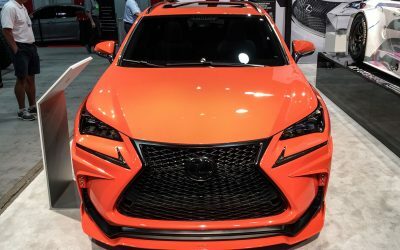 The orange exterior paint was too far-gone for my liking, but the combination of the Artisan Spirits body kit, HRE wheels, and RS-R coilovers looked great. 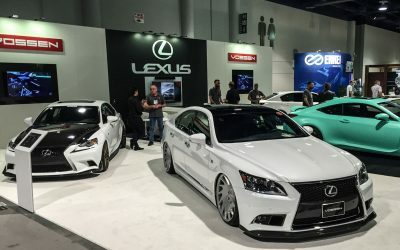 This year was the best SEMA I’ve attended — Lexus had a great lineup, and the show was made even better by being able to spend time with all the friends I’ve made over the years.